Choosing the best protein powder can be confusing. Do you know your isolate from your concentrate? Here’s your 101 guide to the best protein powders: why, when and how to take them. 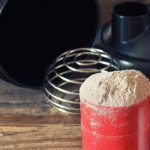 Why choose different protein powders? There are a few things to think about when choosing the best protein powder. Do you have allergies or intolerances? If you have trouble digesting lactose, choose whey isolate (or a plant-based protein powder if you need to cut milk protein completely). Why you are taking the protein powder? To bulk up, grow muscle, or maintain weight? Or to diet down? 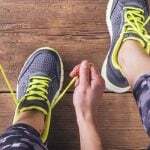 Do you need carbohydrates or just protein? Time of day matters, too. Finally, think about cost and flavour preferences. Don’t make the rookie mistake of using cost as your main deciding factor. Buying in bulk helps you get the best quality protein supplements for your budget. Whey protein concentrate (WPC) is an all-round whey protein powder and is your best bet on a tight budget (unless you’ve got issues with lactose, in which case choose pea protein). WPC is a great source of amino acids and contains around 80% protein, slightly less than whey isolate. This is because it’s got a slightly higher fat and lactose content, although it’s still extremely low fat and low carb. 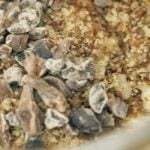 It mixes well with oats, maltodextrin and other carbs and also with fats such as nut butters, flax or omega 3 oils. Whey protein isolate (WPI) is an advanced form of whey, containing the highest percentage of protein of all whey products (from 85%). It is manufactured using cross-flow microfiltration which separates the protein from the fats, cholesterol and lactose in the whey. This is why WPI will always have a higher biological value than concentrate or whey blends. 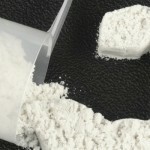 Isolate also has very high levels of amino acids and BCAAs. Milk protein casein (MPC) or micellar casein is derived from ultra-filtered skimmed milk and is made up of 80% casein and 20% whey. It’s made using very low-heat techniques to protect the biological integrity of the raw protein molecules and to ensure a strong amino acid profile. MPC is the slowest digesting of all the whey protein supplements and for this reason is a good choice for before bed or any other time when you will be without food for hours. Cutting, gaining or maintaining weight? Good choices of protein powders for dieters are whey blends with a strong amino acid profile (to protect lean mass whilst you diet). Look for helpful added ingredients like l-carnitine and guarana. They won’t lose fat for you but will make the cutting process much easier! For maintaining or gaining weight, try a mass gainer protein powder with added creatine to help fill muscle cells and encourage hypertrophy. A mass gainer should include protein (ideally a blend), carbohydrates (such as fine oats, maltodextrin, waxy maize starch) and healthy fats from MCTs, nuts or seeds. That combo will help even the hardest of hard gainers pack on mass! But what about those of you who can’t take whey or need a vegan protein powder? Of all the plant-based protein powders, pea protein has the best amino acid profile. It delivers around 85% protein (gram for gram) and doesn’t have as much fat as some other plant protein powders (like hemp protein powder). 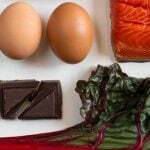 There’s nothing wrong with dietary fat, but it does slow down protein absorption, making it less optimal for post-workout recovery. How many types of protein are on your supplement shelf? What's in your supplement stack?